Gruissan offers severale distractions ! You want to discover history secrets, nature and Gruissan’s legends ? Say hello to Mickaël who will bring you cruising around the area and make you enjoy the local specficities of the region ! 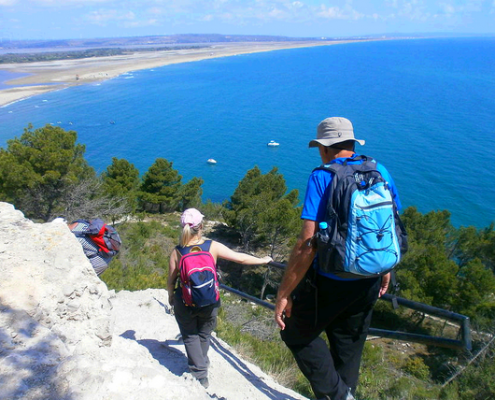 Check the Gruissan’s Tourist Office website and find several marked hiking trail. Also available on Topoguides. Plenty of bicycle paths are linking all of Gruissan’s districts. 6 mountain biking paths are also feasible. Cycles Aventure makes available the rent of bikes for children and adults including with no extra charge helmet, fixing kit and antitheft. Cycles Aventure also offers to fix your bike no matter its brand, sells accessories and accepts credit cards. The nautic center JetXtrem offers the rent of jet-skis without licence for sessions of initiation and hikings. 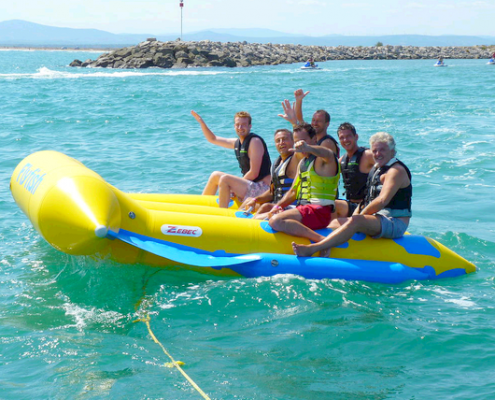 JetXtrem also offers towed inflatable activities (banana, buoys, flyfish) and since this year, flyboard and hoverboard ! 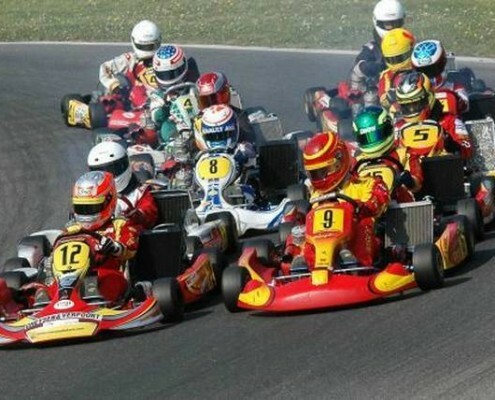 Thrill is for sure ! You want to fly without having to jump off a plane ? 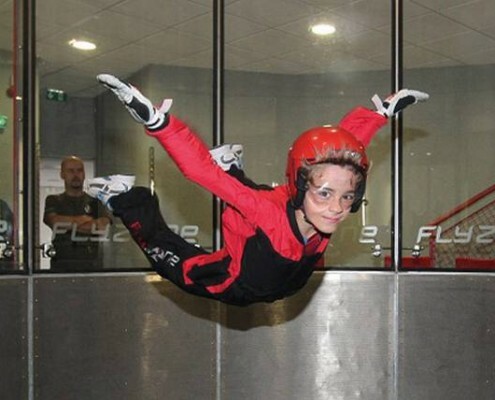 All year, 30 minutes away from Gruissan, Flyzone offers you the chance to step into the shoes of a parachutist in full flight in its free-fall simulator – Europe’s most powerful- where flying will stop being a dream ! For the adults, the beach volleyball courts of the Chalets’ beach has a free access on the evening ! 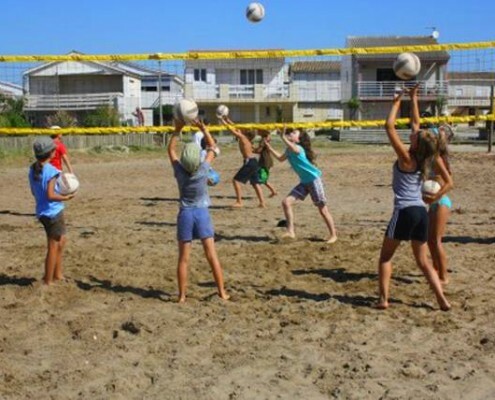 Beach volleyball initiations are also offered for children from 8 to 14 from monday to friday. All year opened and from 10 am to 11 pm during july and august, SunKart offers sessions on its leisure circuits for individuals and groups.